It is our pleasure to invite you to the Macedonia2025 Fundraiser Gala that will take place on 8 November at Hotel Aleksandar Palace in Skopje. 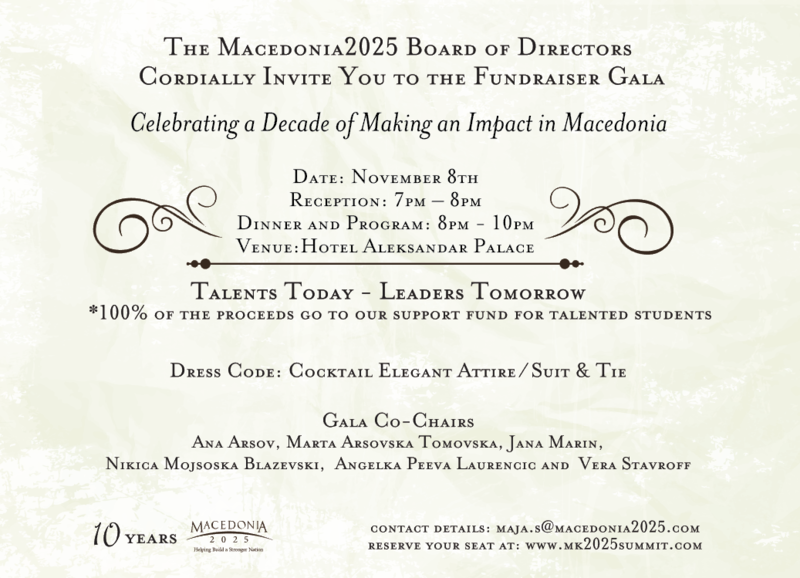 We aim to mark 10 years from establishing Macedonia2025 with a very special Gala Dinner named “Celebrating Success”. 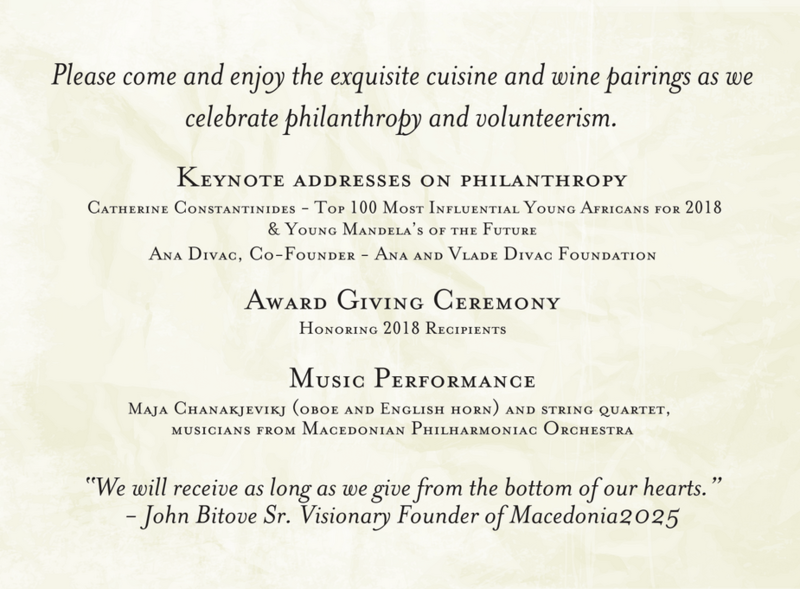 The event will honor philanthropy and volunteerism by highlighting individuals and companies who have given back to Macedonia and have supported the organization in the past 10 years. The registration fee for the Gala amounts to 150 EUR as of 1 October 2018.